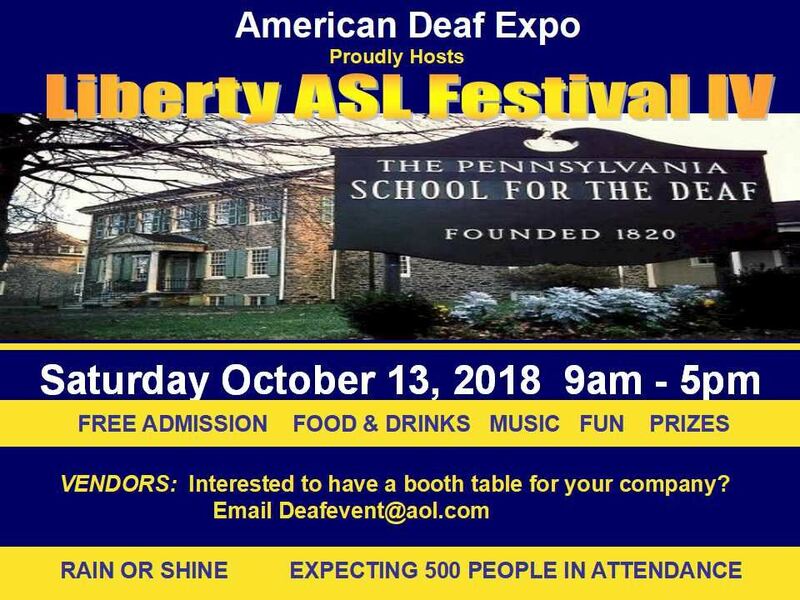 The Pennsylvania School for the Deaf is hosting a big festival on October 13th! In addition to the festival, there will be a double header game in between Lexington School for the Deaf and Pennsylvania School for the Deaf in both high school soccer and volleyball. Volleyball will play outdoors for the first time in the school history. It's a free admission event! About 20 booth vendors or more will be there to exhibit their own tables inside the gym. Pennsylvania School for the Deaf will also host the Community Day including class reunions.